Reminiscent of aspects of Gossip Girl, The Ghost and the Goth and Mean Girls, Here Lies Bridget has a great premise, but fails to deliver. Even though I was aware that Bridget was designed to be annoying so that she could reach redemption by the end of the novel, I thought that she crossed the line just that little bit far. She was just that tiny bit too annoying for me. 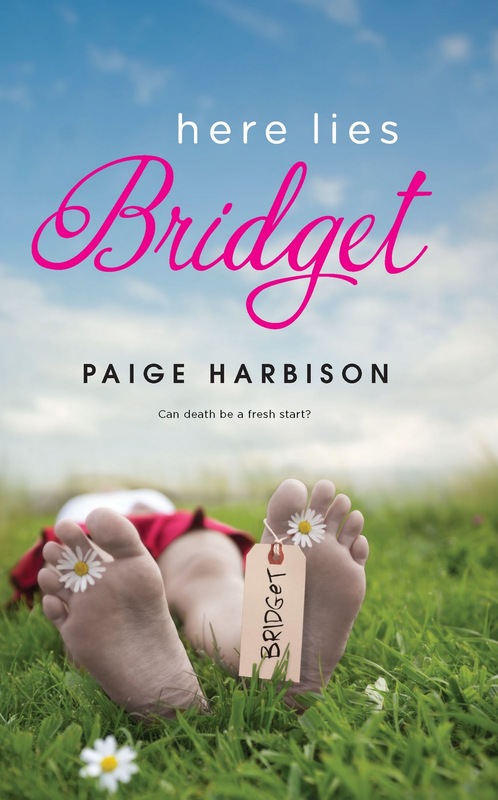 Harbison was not able to make you interested enough in Bridget to see what was going to happen to her. I was unable to connect with her, which made it harder to enjoy, and I just kept feeling really bad for the characters that she picked on. I wasn't enjoying it, so I stopped reading about half way through the novel. I didn't like it, but here are some other opinions. "I could write a book on words to describe Bridget, horrible, loathsome, spoiled, self absorbed, cruel, to others in her life though she is commonly know to others as a b****. After reading some of the horrible things Bridget has done it made me realise that the girls in Mean Girls are little bunnies in comparison. Bridget is mean and cruel to her friends, teachers and step-mother. Do I love this book, not particularly, did I dislike this book because of the protagonist? YES, because of the character Paige Harbison created I hated Bridget. Yes through the book I might of felt some sympathy towards her but that was quickly crushed after she turns around and does something cruel to someone else." "I really, really loved this book. I was a bit concerned that it would be hard to like given that the main character acts so badly for the first half but it seriously surprised me. In no time at all, I found myself empathising with Bridget and willing everything to work out for her. When Bridget crashes her car in a fit of madness, she's sent to a boardroom full of people she has terrorized during her life. From there, she literally steps into the shoes of the people she has wronged and sees herself from their perspective. I'll admit, it did get a bit tedious having to go through the same scenes again but that is the only fault I can find in this novel. The writing is great and the idea is interesting. It kept me on the edge until the very last page- which ended the book nicely, thankfully. It also made me laugh a few times. Overall, a delightful and witty book that certainly deserves five stars in my opinion. I can totally see why people wouldn't like this but I personally really did." "Oh, to describe Bridget. Loathsome. No? How about hateful? Self-absorbed? Spoiled? Or just plain old mean. I guess one word isn’t enough to describe how much I loathed to see her wrap everyone around her finger. Reading of her exploits reminded me of Lohan in Mean Girls. The similarity ends there because while the movie entertained me… had me laughing and empathizing with where the meannies were coming from, Bridget was another matter altogether. The It girl’s meanness was too much for me.In the first half of this 200 plus page book, we read what she does, what she thinks, and how she justifies herself/her acts. IMO, the redemption part came a bit late; her meanness had been drummed into my head too effectively. And while everyone deserves a second chance, I just couldn’t budge myself into giving Bridget hers! My dislike for her had become too well-entrenched. The only part that truly "clicked" for me was Liam+ Bridget’s POV. The bigcomeuppance that I expected did not materialize. I thought the ending was too pat. And while the book isn't terrible (because there were parts that did work) I'd go for something else especially if you're after a bad girl learns to better her ways." You have a fabulous blog! I’m an author and illustrator and I made some awards to give fellow bloggers whose sites I enjoy. I want to award you with one of my homemade awards: the Best Books Blog Award. There are no pass along requirements. This is just to reward you for all the hard work you do!